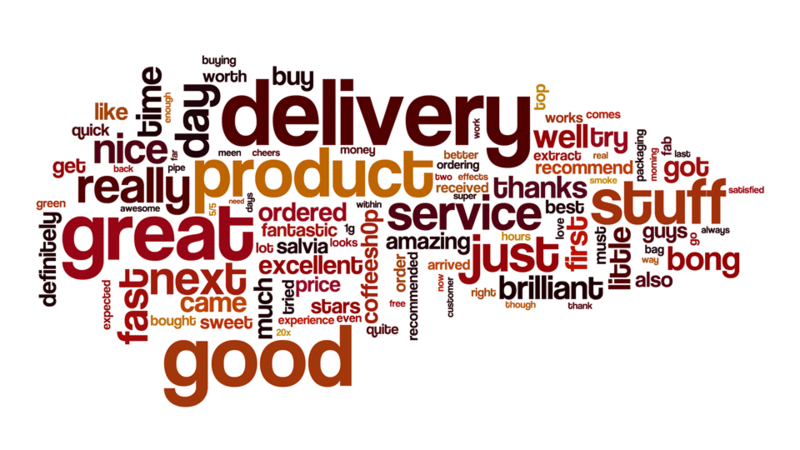 The above wordcloud contains the top 100 most used words from every single customer review submitted to the site. I feel rather proud! A massive thanks to everyone who has taken the time to review our products! Remember, can leave a review for any product by clicking the "Reviews" tab underneath the main product image on the page for that product, then filling out the review form.